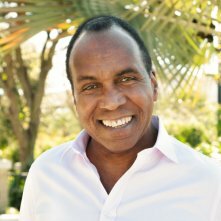 I’d like to share with you a vocal warm up exercise that will quickly get your voice working at it’s best. With any type of physical motion, there are muscles that need to be warmed up to work at their best. Singing is no different. One your singing muscles are warm, they will begin to function at their best. Only then will you be ready to hit the stage and deliver a stunning performance! Ok, this vocal warm up exercise does the following things. It warms up all the important muscles for singing, so your tone will be flowing naturally. It builds a bridge between these vocal registers, so you can sing through your entire range without “breaking” into falsetto. It takes tension off your voice, so singing becomes as easy as talking. As you can see, this exercise is highly effective! In fact, if you were to practice this exercise daily for a month, you would notice enormous improvements in your voice. To watch a video demonstration of this exercise, click here. This vocal warm up exercise is called the “lip-roll”. Place a hand either side of your mouth and use the tips of your fingers to hold up the weight of your cheeks. When you push your fingertips in, you should feel where your teeth meet. Now keep your lips very loose and floppy. Right? Now blow like you would at the end of a long day. This will make a sound similar to a horse! Now, while holding this pose, make a very dopey MMMMMM sound. As you do this just allow your lips to flap freely with the sound. The reason you need to keep it dopey is because this sound will gently pull your larynx down, which will disengage the muscles that cause you vocal tension. With these muscles disengaged, it makes it far easier to sing through your bridges and into your upper vocal registers. But this sound is what will teach your voice how to discover your upper range. On a side note, here's some more tips about how to discover your higher notes. Let’s just forget how ridiculous it sounds for a moment, and see how it helps us! The next step is to go to your CD collection and pull out a song that you love to sing. Let me tell you something important. If you do this vocal warm up exercise a few times (singing your favorite song with the “BRRRRR” sound) and then go back to singing the song with words, you will notice something amazing. Enjoy this vocal warm up exercise. I certainly did when I first discovered it. 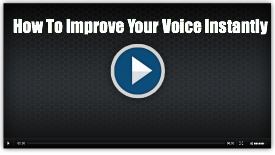 You can get 12 hours of voice-changing exercises just like this one by going to this site. This package contains hundreds of little known exercises that will have a dramatic impact on your voice.